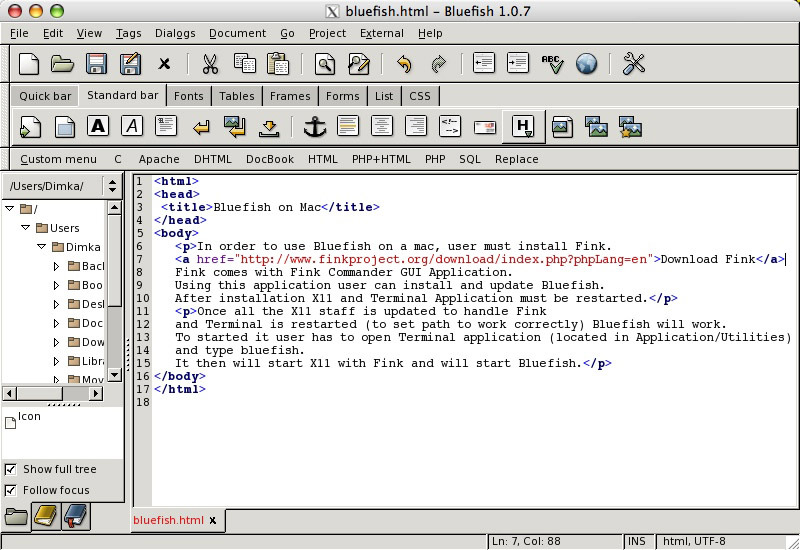 In order to use Bluefish on a Mac, user must install Fink. This is a piece of software that goes in addition to X11 and let you use many linux application on Mac OS X. You can download Fink from finkproject.org. Fink comes with Fink Commander GUI Application. Using this application user can install and update Bluefish. After the installation both X11 and Terminal Application must be restarted. Once all the X11 staff is updated to handle Fink and Terminal is restarted (to set path to work correctly) Bluefish will work. 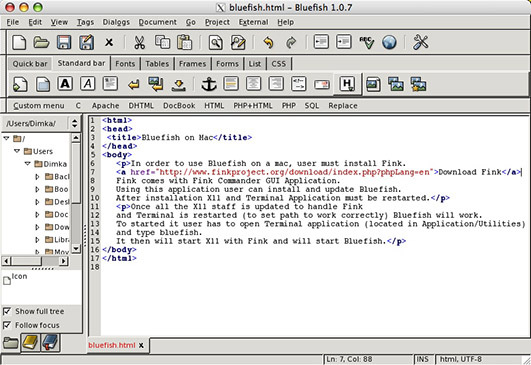 To started it user has to open Terminal application (located in Application/Utilities) and type bluefish. It then will start X11 with Fink and will start Bluefish.